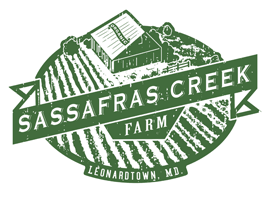 Sassafras Creek Farm is Skipping 9/15 Market - Back on 9/22! Posted 9/13/2018 9:05am by David Paulk. We are taking this 9/15 market off and will be back on 9/22 with your favorite fresh, certified organic veggies, including Salad Mix, Beets, Chard, Potatoes, Onions, Garlic, Ginger and more! We appreciate your support and look forward to seeing you all at the 9/22 market! Posted 9/7/2018 8:19am by David Paulk. We have some new veggies for you to enjoy as well as all of your favorites of summer. Swing by and pick up your fresh, tasty and nutritious vegetables for you and your family for the week. Fresher, better tasting and more varieties than what you'll find in any grocery store! Treat yourself to healthy, organic, delicious veggies, you're worth it! Plus, we just love seeing and talking with you too. See the list below for what's at market tomorrow. We are getting near the end of the tomato season. Now's the time to make sauce, can or freeze tomatoes for the winter! We have Canning/Freezing Tomato Boxes (20-lb) of certified organic tomatoes for just $20! It's very easy to either can or freeze tomatoes whole or cook them down into sauce, and then use sauce fresh, freeze or can. Please check out easy recipes at Canning & Freezing Tomatoes Made Simple and Homemade Fresh Tomato Sauce. To RESERVE a canning tomato box, please email us at sassafrascreekfarm@gmail.com, and provide Name, Number of Boxes, Phone Number and time you will pick up at market. We are so happy to be your farmer and grow for you! Thank you for supporting our farm! 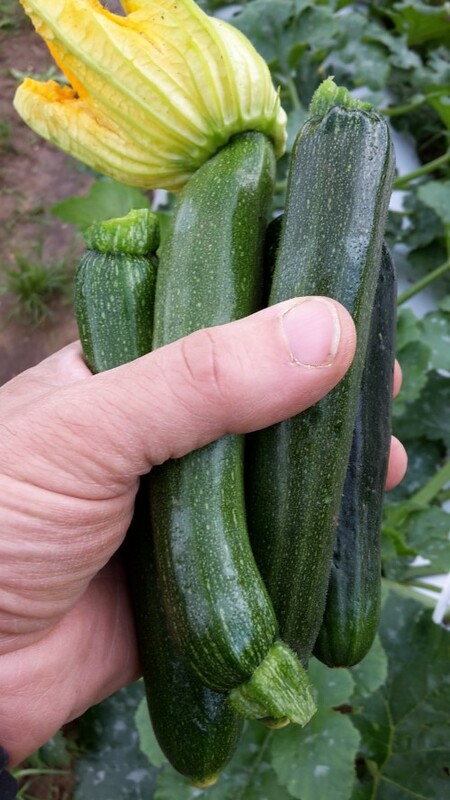 - Striped Flaminio Zucchini (New! ): Try this tasty, slightly nutty new variety of Zucchini we are trying out. It's striped and as the Italians would say it has a "costata" appearance. We love it! - Beets (New! ): Delicious on a bed of arugula with goat cheese and a drizzle of raspberry-walnut dressing. Either roast with skin on and then rub off skins once cool, or peel, slice and boil until fork tender. Serve warm with a little butter or cool on a salad. - Arugula: We have your favorite spicy green! Wonderful as a bed for grilled salmon, drizzled with a sesame-ginger dressing or as a bed for roasted beets, goat cheese and walnuts! - Garlic: We have fresh, large, delicious heads of garlic! So fresh, they ooze aromatic garlic juice when you mince them. Heavenly! - Onions, Red: Freshly-harvested sweet red onions. Delicious raw on a burger or sautéed in any dish. 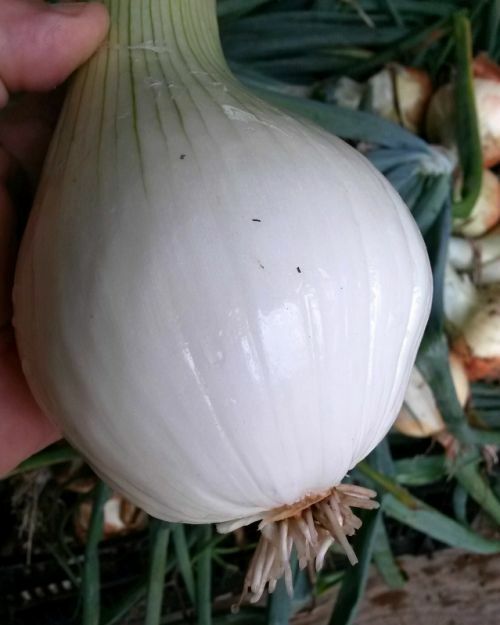 - Superstar Sweet Onions: Delicious, freshly-harvested sweet onions, like Vidalia onions! Wonderful raw or cooked. These are the amazingly sweet onions you've enjoyed from our stand for years now. - Sweet Red & Yellow Bell Peppers: LARGE bells...perfect for the grill! - Oranos (orange) Sweet Peppers: Sweet, orange and crisp peppers. Great raw, sauteed or grilled! - Shishito Appetizer Peppers: First of the season shishito's. Delicious, green sauteing, appetizer peppers from Japan! Just toss whole peppers in a hot pan with a little oil until blistered. Then serve sprinkled with sea salt. Eat peppers whole (except stem). What a nice treat to enjoy with friends on a weekend afternoon, served with a cold glass of beer or dry white wine. - Potatoes, Mt. Rose, Blue, Fingerling, Carola & Desiree: Five delicious varieties with different flavors and cooking qualities. Cut in quarters, toss with a little olive oil and bake at 350 degrees F until fork tender, longer if you want them to crisp up. Sprinkle with sea salt for a tasty, easy, nutritious side dish. - Tomatoes, Heritage! 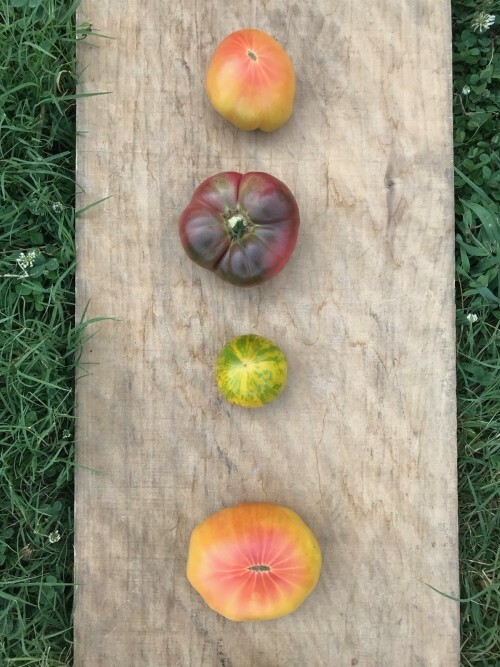 : We have 3 types of heritage tomatoes! One looks and tastes like Cherokee Purple, the other is gold and red in color and sweeeet, and we have tangy Green Zebras! Wonderful on a BLT or tomato sandwich or simply sliced on a plate and drizzled with olive oil and sprinkled with sea salt. Yummm. - Tomatoes, Red Slicers! : Plus, we have many red, delicious traditional slicer tomatoes! 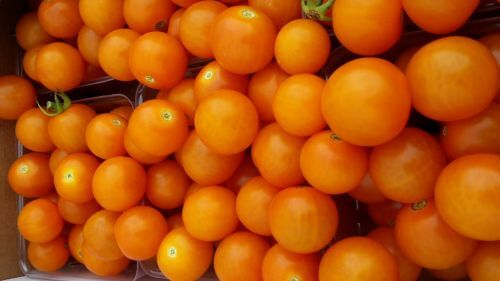 - Cherry Tomatoes, golden tangy Sungold and red Sweet Treat! We take cash, checks, credit, debit and SNAP and eWIC cards, and FMNP coupons. The market has additional vegetable vendors, as well as beef, pork, chicken, eggs, baked goods and booze. Sweet & Tangy Cherry tomatoes! Reserve your box of tomatoes today! Posted 8/31/2018 11:25am by David Paulk. We have your favorite organic veggies for get-togethers with friends and family for this long Labor Day weekend. Plus, pick up your fresh vegetables now so that you'll have plenty for this first week back to school (see the list below for what's at market tomorrow). We also have Canning/Freezing Tomato Boxes (20-lb) of certified organic tomatoes for just $20! It's very easy to either can or freeze tomatoes whole or cook them down into sauce, and then use sauce fresh, freeze or can. Please check out easy recipes at Canning & Freezing Tomatoes Made Simple and Homemade Fresh Tomato Sauce. Super Sweet, Large Bell Peppers! Posted 8/24/2018 5:28pm by David Paulk. What better way to enjoy this beautiful weather than to swing by the farmers market in the morning to pick up your organic veggies for the week and for a cookout this weekend with friends and family (see the list below for what's at market this week). - Italian Romano Green Beans (limited quantity): Long, flat green beans, with exceptional flavor. Posted 8/17/2018 5:15pm by David Paulk. We have delicious Italian Romano Green Beans, Large Sweet Bell Peppers, 2 kinds/sizes of Watermelon, different varieties of large red slicer and Heritage Tomatoes, Summer squash, 5 kinds of Potatoes and more of your favorite veggies (see list below)! - Italian Romano Green Beans: Long, flat green beans, with exceptional flavor. 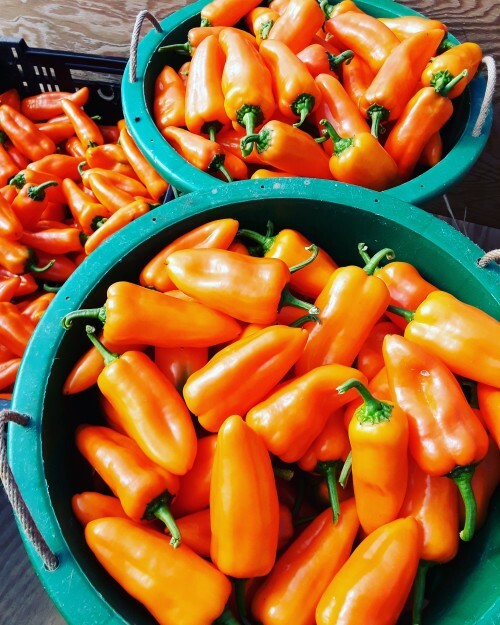 - Oranos Sweet Peppers: Sweet, orange and crisp peppers. Great raw, sauteed or grilled! 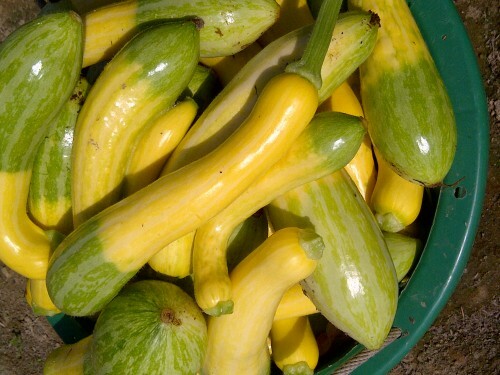 - Summer Squash, Zucchini and Zephyr: Delicious grilled or sauteed with our red or white onions, as a side dish to accompany steak, chicken or pork! Fresh Italian Romano Green Beans! Posted 8/10/2018 8:08am by David Paulk. 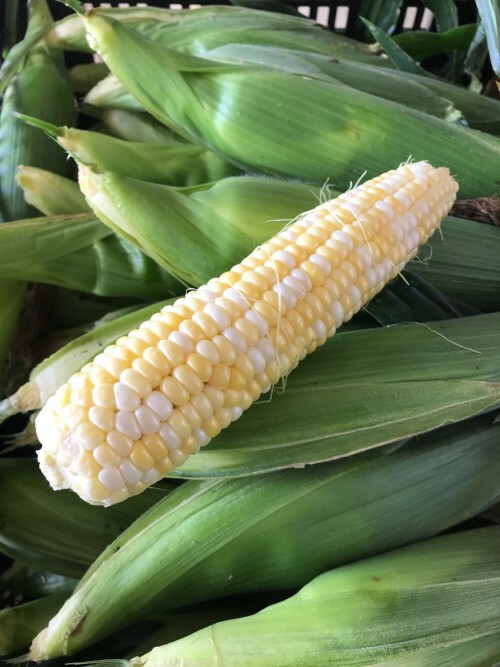 We have a lot of Organic Sweet Corn, AND it is the last of the season! We also have delicious Italian Romano Green Beans, more Romaine lettuce, Large Sweet Bell Peppers, 3 kinds/sizes of Watermelon, different varieties of large red slicer and Heritage Tomatoes, Summer squash, 5 kinds of Potatoes and more of your favorite veggies (see list below)! - Lettuce, Romaine: Big, crisp heads of romaine! We have a lot this week! - Sweet Red Bell Peppers: LARGE bells...perfect for the grill! - Shishito Appetizer Peppers: First of the season shishito's. Delicious, green sauteing, appetizer peppers from Japan! Just toss whole peppers in a hot pan with a little oil until blistered. Then serve sprinkled with sea salt. Eat peppers whole (except for stem). What a nice treat to enjoy with friends on a weekend afternoon, served with a cold glass of beer or dry white wine. - Tomatoes, Big Heritage & Red Slicers! : We have two types of heritage tomatoes! One is essentially identical to Cherokee Purple and the other is gold and red in color and sweeeet!! Plus, we have many, many big red, delicious traditional slicer tomatoes! - Watermelons, Sangria, Extazy and Japanese Icebox : 3 varieties of watermelons in 3 sizes! Sangria is a voluptuous, oval fruit reaching up to 20 pounds with jade green stripes, red inside and sweet! Extazy watermelons are seedless, medium in size, bright red inside, with sweet, crisp flesh. Japanese Icebox watermelons are personal-size and, though not seedless, have THE sweetest flavor! Posted 8/3/2018 12:48pm by David Paulk. We have three kinds of Watermelons, many different kinds of Tomatoes, Sweet Peppers (New Red Bell! ), Italian Romano Green Beans (New!) Summer squash, Potatoes and more of your favorite veggies (see list below)! - Sweet Red Bell Peppers (New! ): large red bells...perfect for the grill! - Italian Romano Pole Beans (New! ): Long, flat green beans, with exceptional flavor. - Watermelons, Sangria, Extazy and Japanese Icebox (More! ): We have 3 varieties of watermelons in 3 sizes! Sangria is a voluptuous, oval fruit reaching up to 20 pounds with jade green stripes, red inside and sweet! 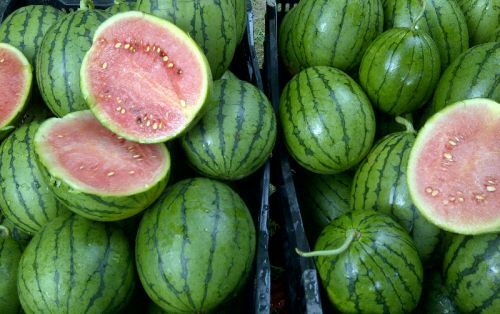 Extazy watermelons are seedless, medium in size, bright red inside, with sweet, crisp flesh. Japanese Icebox watermelons are personal-size and, though not seedless, have THE sweetest flavor! - Cucumbers (limited quantity): We have A lot of tasty, sweet, asian cucumbers. Similar to English cucumbers. Sweet, thinned skinned and almost non-existent seeds. Posted 7/27/2018 1:45pm by David Paulk. We have three kinds of Watermelons, many different kinds of Tomatoes, Sweet Peppers, Summer squash, Potatoes and more of your favorite veggies (see list below)! We also have Canning Tomato Boxes (20-lb) of certified organic tomatoes for just $20! To RESERVE a box, please email us at sassafrascreekfarm@gmail.com, and provide your Name, Number of Boxes, Phone Number and time you will pick up at market. - Watermelons, Sangria, Extazy and Japanese Icebox (New! ): We have 3 varieties of watermelons in 3 sizes! Sangria is a voluptuous, oval fruit reaching up to 20 pounds with jade green stripes, red inside and sweet! Extazy watermelons are seedless, personal size, bright red inside, with sweet, crisp flesh. Japanese Icebox watermelons are also personal-size, and, though not seedless, have the sweetest flavor! - Desiree Potato (New! ): We have a new delicious variety of potato with lovely red skin and light yellow flesh. It is a versatile, fairly waxy variety which is firm and holds its shape, and is useful for all methods of cooking, from roasting to mashing and salads. - Basil: Fresh, large bunches of aromatic basil! Wonderful sprinkled into sauteed vegetables, great on pizza, as pesto, and many more dishes. - Cucumbers: We have A lot of tasty, sweet, asian cucumbers. Similar to English cucumbers. Sweet, thinned skinned and almost non-existent seeds. - Potatoes, Mt. Rose, Blue, Fingerling, Carola & Desiree (New! ): Five delicious varieties with different flavors and cooking qualities. Cut in quarters, toss with a little olive oil and bake at 350 degrees F until fork tender, longer if you want them to crisp up. Sprinkle with sea salt for a tasty, easy, nutritious side dish. Posted 7/20/2018 1:36pm by David Paulk. We have Sweet Corn!....Tomatoes, Sweet Peppers, Summer squash and Watermelons, and more! It really is summer now! We have all of your favorite organic vegetables (see complete list and photos below). So what if there's a little summer rain shower tomorrow?! I can tell you our farm really needs it. Plus, it will be pleasantly cooler for a change and the rainfall will be light. Please don't miss this opportunity for delicious sweet corn and watermelons. We are so happy to be your farmer and grow for you! Thank you for supporting our farm! - Sweet Corn (Back! ): We have a lot of super fresh, organic sweet corn! - Watermelons, Personal-Size (New! ): Super sweet and tasty! - Canning Tomato Boxes: 20-lb boxes of certified organic tomatoes for just $20! To RESERVE a box, please email us at sassafrascreekfarm@gmail.com, and provide your Name, Number of Boxes, Phone Number and time you will pick up at market. - Fresh Carrots: We have fresh, crisp, tasty carrots that are ready to be roasted or eaten raw on salads or with your favorite dips! - Lettuce: Freshly-harvested lettuce from our farm directly to you! See easy homemade salad dressing recipes at www.sassafrascreekfarm.com/recipe . - Potatoes, Red, Blue, Fingerling and golden Carola: Four delicious varieties with different flavors and cooking qualities from which to choose. Cut in half or in slices, toss with a little olive oil and bake at 350 degrees F until fork tender, longer if you want them to crisp up. Sprinkle with sea salt for tasty, easy side dish. - Summer Squash, Zucchini, Zephyr and Gold Acorn Nut (new! ): We have plenty of both kinds of summer squash. Limited quantity of the summer Gold Acorn Nut. Delicious grilled or sauteed with our red or white onions, as a side dish to accompany steak, chicken or pork! - Sweet Potatoes, Covington: We have your favorite orange sweet potatoes. So, easy to bake whole or slice and roast as sweet potato fries. Just slice 1/4 inch thick, toss with a little olive oil, roast in oven at 350 degrees for 15 mins, flip the slices and roast for about 5 mins more, sprinkle course salt (and pepper, if you like). That's it! You have a guilt-free, sweet and so-good-for-you side dish for lunch/dinner or serve with eggs at breakfast! - Tomatoes, Big Heritage & Red Slicers! : We have two types of heritage tomatoes! One is essentially identical to Cherokee Purple and the other is sweeeet!! Posted 7/13/2018 5:20pm by David Paulk. We have a lot of your favorite fresh, summer veggies tomorrow, including arugula, Asian cucumbers, sweet peppers and, of course, a variety of fresh tomatoes! We so appreciate that you take the time to come to our stand. We look forward to seeing and talking with you! Thank you! 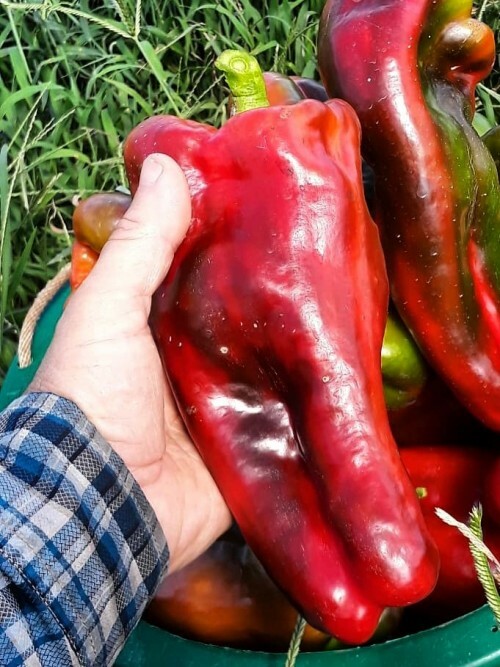 - Oranos Peppers (New! ): Sweet, orange and crisp peppers. Great raw, sauteed or grilled! - Canning Tomato Boxes (New! 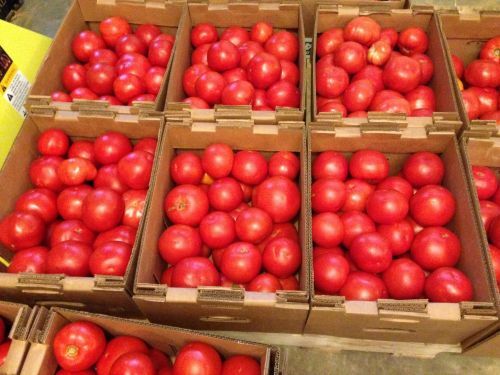 ; limited quantity): 20 - 25 lb boxes of certified organic tomatoes for just $1/lb! To RESERVE a box, please email us at sassafrascreekfarm@gmail.com, and provide your Name, Number of Boxes, Phone Number and time you will pick up. - Lettuce (limited quantity): Freshly-harvested lettuce from our farm directly to you! See easy homemade salad dressing recipes at www.sassafrascreekfarm.com/recipe . - Shishito Peppers: First of the season shishito's. Delicious, green sauteing, appetizer peppers from Japan! Just toss whole peppers in a hot pan with a little oil until blistered. Then serve sprinkled with sea salt. Eat peppers whole (except for stem). What a nice treat to enjoy with friends on a weekend afternoon, served with a cold glass of beer or dry white wine. We take cash, credit, debit and SNAP cards, eWIC & FMNP coupons. The market has additional vegetable vendors, as well as beef, pork, chicken, eggs, baked goods and booze.